We make applying for your new apartment easy with our simple online application. Our spacious, thoughtfully-designed apartments offer one, two, and three bedroom floor plans. Features include all electric and built in kitchen appliances, 10 ft. ceilings, generous walk-in closets, central air and heat, and in-unit washer/dryer. Select apartments offer attached garages, faux wood flooring, and stainless steel appliances.  At Ballantrae you are privileged to many community amenities, including resort-style swimming pools, state-of-the-art fitness center, business center and cyber café, children’s play area, and gated access. Our pet-friendly community welcomes you and your four-legged family member. You will find easy access to State Road 417 at Exit 55C/Heathrow plus you are only minutes from some of the best restaurants, shopping, and entertainment Orlando, FL has to offer. *Leasing specials/rental amounts apply to new residents only on select apartment homes and are subject to change. A minimum 12-month lease required with special. Please contact our leasing consultants for more details. Subject to credit approval.